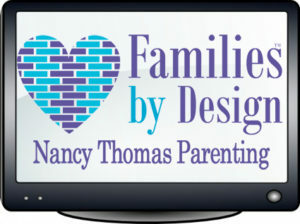 Talk with Nancy Thomas in person and get answers from her 40 years of experience. Pick a phone consult package and save. One hour $95, 4 hours $310, 12 hours $840. Step by step video modules that walk you through the healing process from where to start to how to say it. Tuition for the 6 week Master Course is $1200. We have research backed and proven Family Bonding Camps that work in the US and Canada. $895 each for 6 days of food, lodging, new tools and a life changing opportunity for healing. Check out great webinars to view instantly and NEW Live ones coming soon. Each info packed session is only $29. Start with Brain Based Behavior Interventions. Here are four mins. of inspiration and courage! Check it out here!